"Turris Concrescere" and "Turris" by Rob McKirdie in "Metamaquette" at Trackside Studio. Spokane's monthly arts showcase features events, including gallery receptions, live music and a chance to meet local artists, across the downtown core and beyond. Receptions for this month's event happen on Friday, April 6, from 5-8 pm, unless otherwise noted below, where events are listed alphabetically by venue. These listings were compiled from information provided by First Friday's organizer, Downtown Spokane Partnership, as well as host venues and artists. Red stars denote Inlander staff picks; for additional information, visit firstfridayspokane.org. 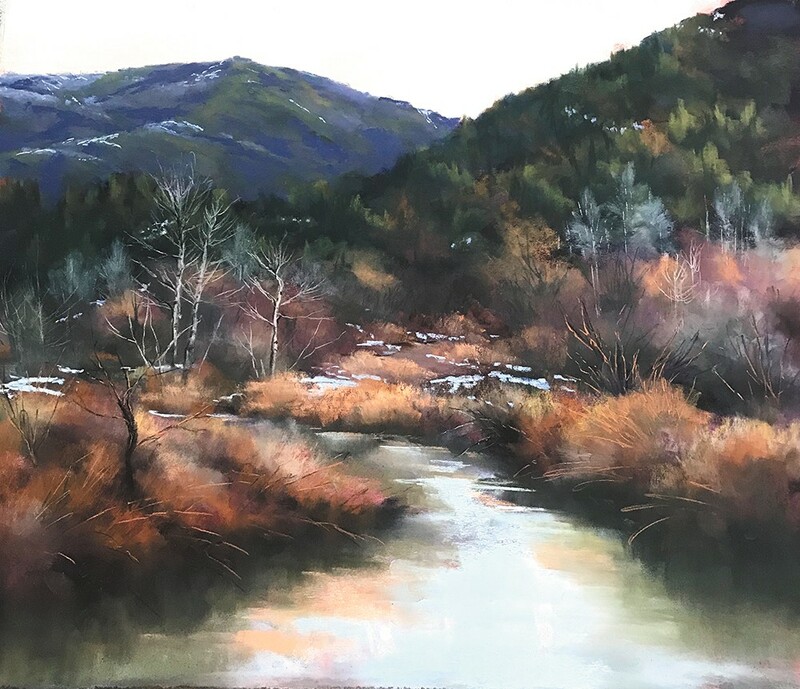 "March Color in the Bitterroot Range" by Bonnie Griffith is at Dodson's Jewelers. Auntie's Bookstore, 402 W. Main3 Minute Mic celebrates its fifth anniversary with poet and musician Margaret Wilds. Open mic readers can read up to three minutes' worth of poetry. Starts at 8 pm. The gallery features Sagle, Idaho, artist T Kurtz's "The Power of Spring." Watercolor and egg tempera painter Stan Miller presents "Portraits and Landscapes." Reception from 5-10 pm, with live music by Maxie Ray Mills, food by Beacon Hill Catering and Barrister's wines. Featuring art by Emma Noyes, and a tap takeover with Olympia's Fish Brewing. Art by Hara Allison, with live music by Nashville musician Christy Lee. Reception 4-11 pm. "Flourish" features nature-themed photography by Seattle-based artists Melinda Hurst Frye, Tara McDermott and Meggan Joy. Mixed media on copper by Irene Dahl. Reception from 2-9 pm, with music by Nick Grow at 7 pm. The Inland Northwest Land Conservancy hosts "Nature," the Spokane Watercolor Society's annual membership show. Art by Annecia Paulson, of Sage+Moss, including handmade macrame wall hangings. Also featuring live music by Deb, from 6-10 pm. Pastel and oil paintings by artist Bonnie Griffith in "Montana on My Mind," alongside a trunk show for Montana Sapphires (10 am-8 pm). A collection of black-and-white photography by Bill and Kathy Kostelec. "Suspended Before Your Very Eyes" features textile artwork by Spokane's Louis Kodis. Music by the Front Porch Trio: Steve Simmons, Alan Fischer and Ron Greene. Paintings by Travis Chapman, who skewers memes and reimagines popular paintings. "Fitting Together.Art" features art by school-aged children living with autism. Proceeds benefit autism-related efforts. "Excavate: Land, Space, Ocean, Body" by Helen Parsons features fabric and mixed-media art Reception from 5-9 pm; also open April 7 from noon-4 pm; artist talk at 1 pm. "No Tan: Beauty of Darks and Lights" features sumi-e and calligraphy by Keiko Von Holt and other local artists celebrating the Year of the Dog. Acrylics on wood panels by local artist Joel Stehr are displayed. Reception from 4-11 pm with music by Mary Chavez (7-10 pm). A trunk show of festival wear from Spokane-area vintage clothing vendors, and original paintings by Travis Michael Boersma. Pop culture-themed art by L.A.-based artist Byron Black is displayed through the month. Reception 4-9 pm. The nonprofit kicks off Sexual Assault Awareness Month with a window and chalk walk celebrating the power of individual and collective voices in ending sexual violence, along with the silhouette display "What is Your Name?" "Confluence: Painting & Dance" previews the upcoming performance by Vytal Movement Dance Company, with art by Grace Barnes and other regular gallery artists. The winery displays art by Robin Pickering, with live music by Pamela Benton. The gallery features paintings by Clancie Pleasants, clayworks by Collista Bejjani and fine jewelry by Carole Landt. Reception from noon-5 pm. La Resistance presents "Revive Regenerate Renew," featuring work by two dozen Spokane-area artists. Includes a closing reception on April 28, from 5-8 pm. The winery displays paintings and small sculptures made from grapevines by artist Felisa Carranza. Open noon-7 pm. April's guest artist is Katie Frey, who showcases her mixed media landscape and still life paintings. Reception 5-9 pm. "Cats and Weiners" is a group show of art inspired by its title subjects, with a portion of sales benefiting cancer funds of Susan Webber and Kelly Fay Vaughn. Reception 6-9 pm. The brewery's monthly garage party includes beer, local food trucks and live music by Fat Lady, from 4-9:30 pm. Photography by Christopher Lamb, and the release of the winery's 2014 merlot. Featuring member artists Roger Ralton's installation "Research II" and Jenny Hydes's video piece "Old Tricks." Artist Dave Johnson displays his latest installation for the "Brass Knuckle Project," with live music by Ian Miles and the Meat Sweats. Reception 7-9 pm. "Spokane Women Together: Portraits and Stories" by Rick Singer and Hilary Hart is a photography collection exploring Spokane's diverse population of women. The library also hosts a dramatic musical performance of Caleb Mannan's "Bust it Like a Mule" at 6:30 pm. Music by STA coach operator and musician Ken Davis, from 4:30-6 pm. 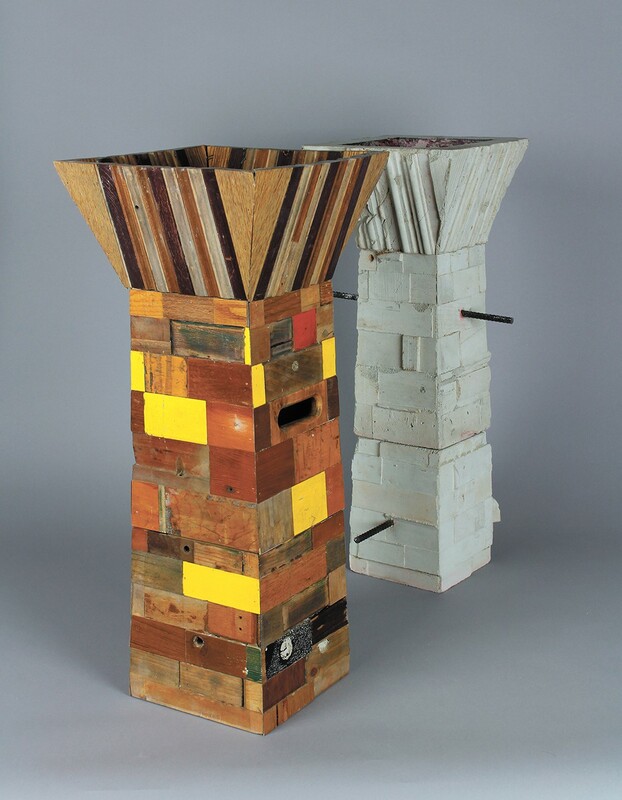 Featuring Michael Dinning's mixed-media collection "Neighborhood." "Metamaquette" features works by SFCC Art Dept. faculty Rob McKirdie and Tybre Newcomer. Art by Dan Harris, and a tasting of wines from Vino! 's Wine of the Month Club, from 3-7:30 pm. The original print version of this article was headlined "Spring Inspirations"